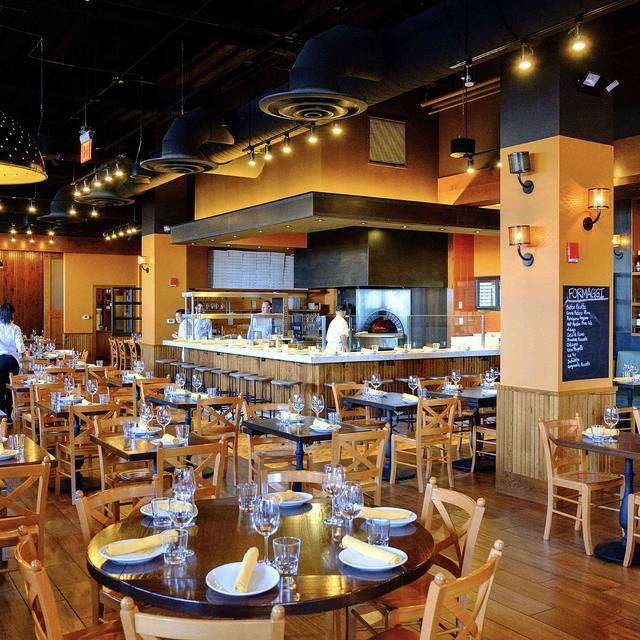 Babbo Pizzeria e Enoteca is an Italian restaurant on Boston's Fan Pier owned and operated by Joe Bastianich. Babbo Pizzeria features wood-burning brick oven Neopolitan-style pizza as well as a variety of pasta, antipasti and gelati. B&BHG veteran and award-winning pizzaiolo Mario LaPosta oversees a menu of Neapolitan-Style pizzas as well as Spaghetti alla Chitarra with Crab, Lemon and Breadcrumbs and Crispy Duck Agrodolce with Favetta. *Consuming raw or undercooked meats, poultry, seafood, shellfish, or eggs may increase your risk of food borne illness. Before placing your order, please inform your server if a person in your party has a food allergy. Our waiter ETHAN was super friendly and gave us great service. The food was delicious. 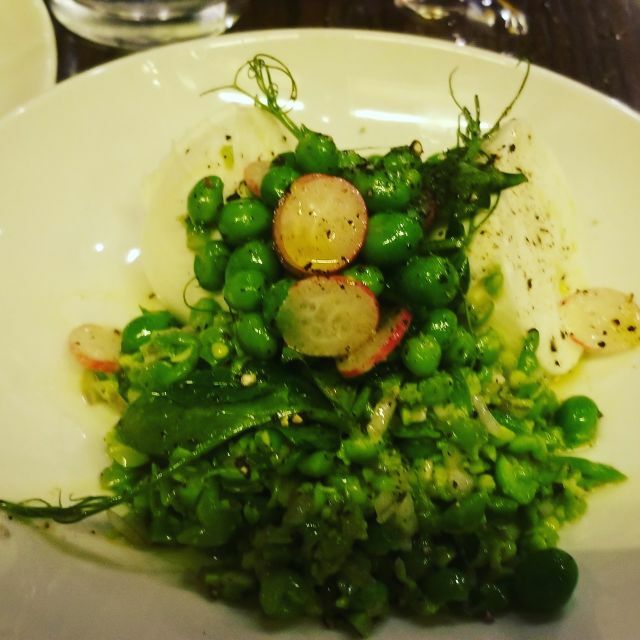 I love Lydia and have been to several of her restaurants, and this was a good experience but not the Lydia experience. The food was great: we got the Sardines, Squid Ink pasta, the gnocchi, a pizza, cheese and meats, and wine. The sardines were not what we were expecting but good. The meat and cheese were just okay. Overall the food: 3.5/5 stars. It was the service that really was the let down of the experience. Our waitress was not attentive and did not explain our meals or anything to us. All the waiters were constantly huddled in the corner talking or not looking very engaged. The one shining light was the man who helped us choose a wine and poured it. We know it is new so hoping to try it again in a few months or so. On a better note: the bar was hopping and all the people looked like they were having a great time. This restaurant is very good. I have always liked it. There is a wide variety of food and it is very good for groups. I would say that the restaurant is behind the times related to food allergies, etc. Someone in my party was gluten free and the waiter did not have a lot of information on the options. He was good about asking. Likewise, they have gluten free past available but it was not mentioned on the menu. lovely dinner- fabulous server- really a great experience overall!!! The food was delicious except for the Mozzarella di Bufala appetizer, which was a bit bland. Cocktails were great. We sat at the bar and the service was really good. The bartenders were attentive and quick. Despite being at the bar, when we asked for a wine list, a sommelier/manager stopped by almost immediately to help us pick a bottle of wine. He was great, and came back to open and decant the wine for us. Octopus app was amazing, Ribeye was great and cooked perfectly, and the tagliatelle bolognese was to die for. Alex is the best wine steward in the US! Meatball pizza is consistently wonderful - as is the chop salad. Our favorite spot for a Friday night! Food and service were really just average. The wine however and the wine expert were excellent. But I was excited for the food which was blah. Very over cooked pasta and small portions. Won’t go back. Excellent food and service! Definitely worth a trip whether you’re from the city or want to go for a night out in the city! Food was amazing and our server was incredible. I wish I remembered his name, but he was absolutely outstanding. He made the experience what it was! The food was tasty, but our server didn't know anything about the menu and wasn't prepared for super basic questions about what we were thinking of ordering. Our kids ended up googling what certain Italian words were. She was friendly, just not GOOD. Seems overpriced for what you get. Stracciatella, Lemon Confit, Mint Dessert was FABULOUS! pistachio gelato and a Black and White(Milk Chocolate Chip Gelato, Crème Fraîche Gelato, Hazelnut Croccante, Chocolate, Caramel Crema) It's a bit pricey, but nice atmosphere and good service. The always reliable Polpette (meatballs) followed by a Margherita pizza. Can't be beat. My buddy had the Skirt Steak with a side of Brussels Sprouts. Also delicious. Excellent service tableside by Ethan. And as always, a warm greeting and friendly chat with Andrew at the front. My party enjoyed our meal-calamari, squid ink seafood pasta, sausage fusilli pasta, and a pizza. It was very noisy, both music and the party next to us so we decided not to stay for dessert. It was also very cold in our area near the entrance/side door. Service was good but it was so loud we could barely hear him when he spoke. I’d give it another try but not for a special occasion. While I have been there several times and I enjoy the food. I find the alcohol very expensive. For example a beer was $15! Our new neighborhood haunt! 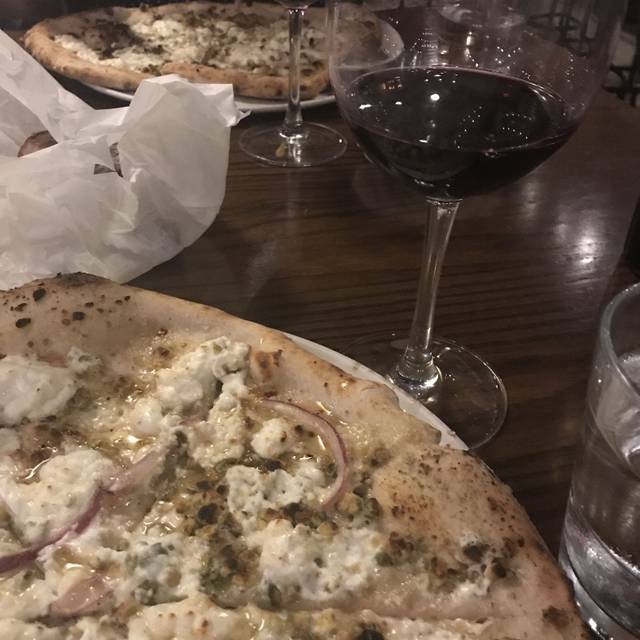 Great pizza, chopped salad and wine! One server, a runner delivering food, did not appear to like her job!! Oh well! Will return. Great pizza and delicious dessert! 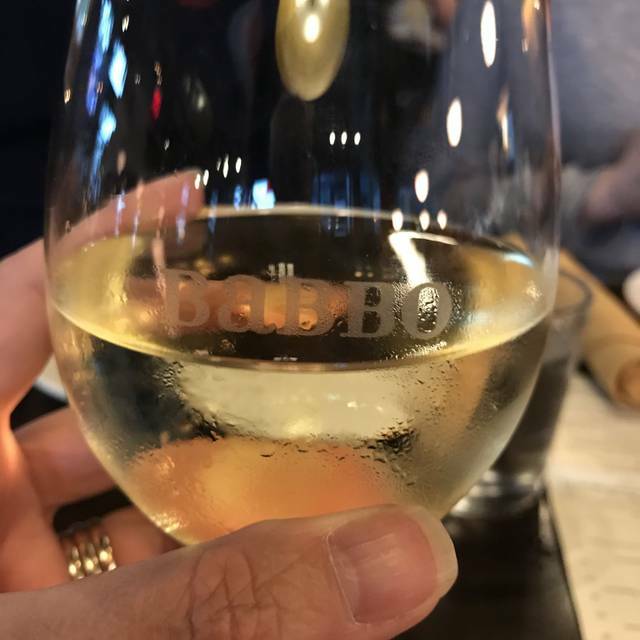 This was my third time at Babbo, and I have enjoyed each visit. 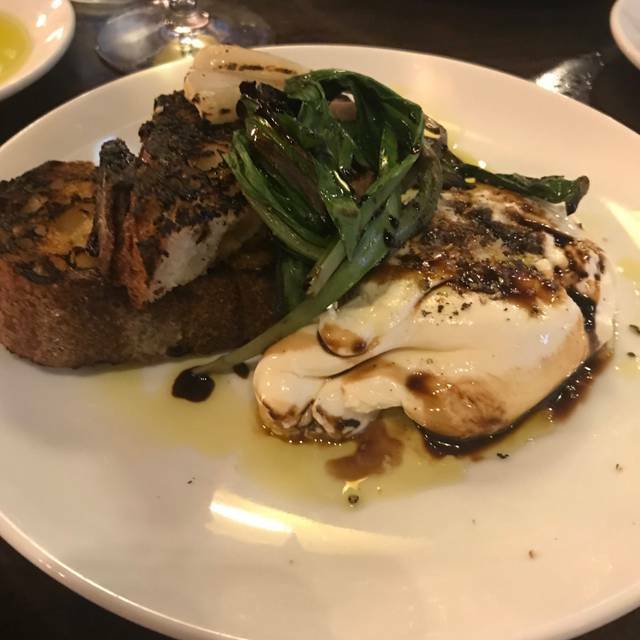 The service is reasonably good (although we were sitting a long time and I had to go ask a waiter to come take a drink order and at the end I had to go search for him to get our check) and the food is good. The servings are not lavish but were just about enough. 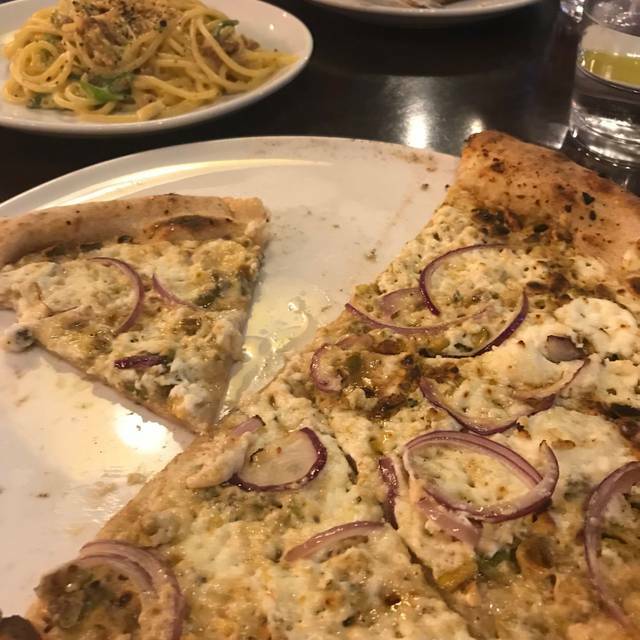 Pastas and pizza selection are good but we would have appreciated a basic and less expensive salad to add to our main course. The chairs are extremely uncomfortable (one of my friends sat on her coat because she needed a cushion!). We did not realize the restaurant did not open until 5 and arrived at 4:45. Posting the hours on the door would be helpful. Our server was the best! Eager, helpful and sweet. Thank you! Excellent food and friendly, professional service. 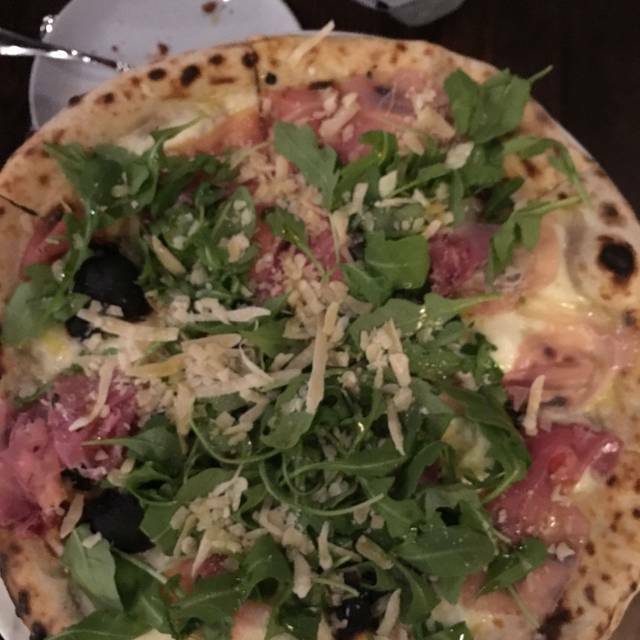 Pizzas are outstanding! Truffle honey is the condiment you never knew you needed. Find with the charcuterie plates! The menu seemed like basic "American Italian" - plain and uninspired. The bolognese was unusual. The food and waitstaff were very good. My only complaint was this evening was a special birthday celebration. No one acknowledged my husbands birthday which was out of place for a quality restaurant. I don't think we'll be bring anyone here to celebrate special occasions. Have never had a bad experience at Babbo! Food was delicious, drinks were perfect. Excellent for a small group or intimate date. The food was overpriced and just ok. Our server was fairly attentive at first but then disappeared. The rest of the staff filled our glasses. We ordered a charcuterie and pizza and did not expect them to come at the same time. Not returning. Fun place. Good service & suggestions for ordering. We were on a schedule yet didn't feel rushed. Food was great! Alex the wine steward is wonderful - the wait staff is great - and the pizza is flat out terrific! The Polpette are the best meatballs in town. And the Margherita pizza can't be beat. Came here on a date with partner at approximately 6pm before a movie. Most of the tables were filled with families with young children, so wasn't exactly a date vibe. Music was quite loud and seemed as though it was a random mix of pop / rock songs from whoever's iphone was behind the bar. Food and drinks were good, but the vibe was a little confusing. Babbo is always a treat. Great food and atmosphere. However, the wait staff are less than desirable and are in need of extensive training. Boston has a ton of food options that are out of this world. Service is what separates the good from the great. Train your staff and watch the profits go through the roof. 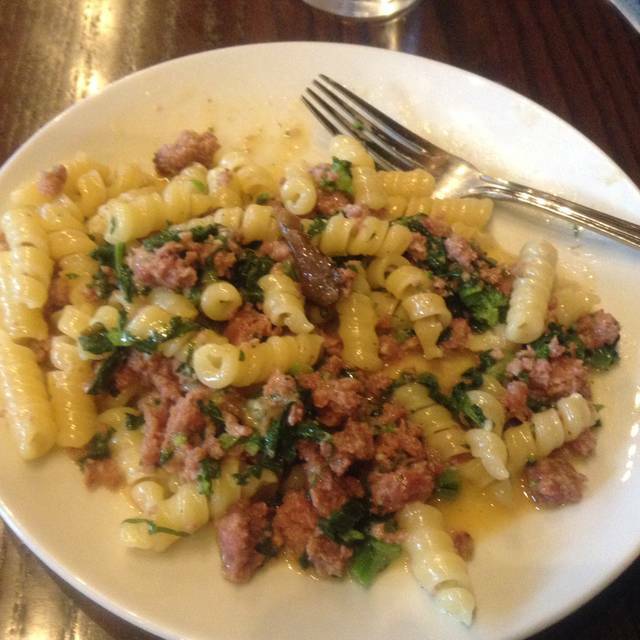 Nothing like the location in NYC, Babbo was very disappointing. Wine selection is nice... Pizza was good... Pasta was undercooked. Food was great. Service was bad and the restaurant was quiet. I hope that it was the waitress' first week as she didn't really seem to know what was going on. The food was great, very solid beer list and interesting wine. It wasn't very crowded and I think that might be the reason why pour pizzas seemed to arrive moments after ordering them. Excellent brick oven pizza. Upbeat atmosphere. Will return! 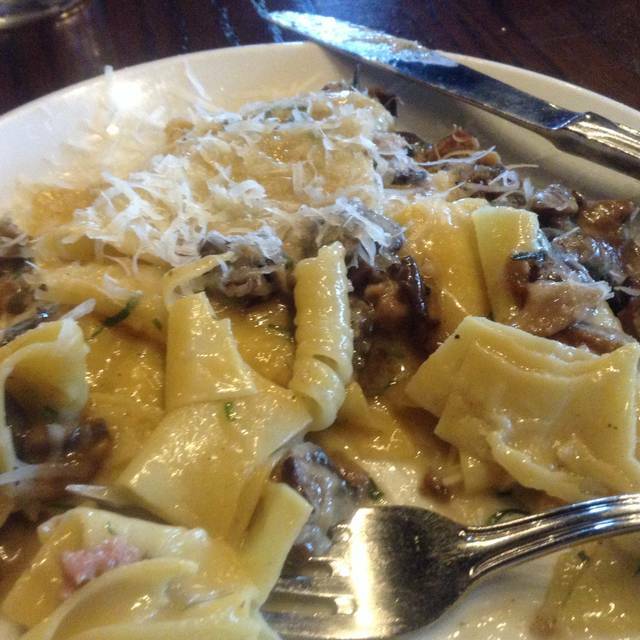 Babbo is always a delicious, fun spot to head to with a larger group. With pizzas, pastas and salads that the table can share (and don't forget the gelato sampler! ), it's a perfect spot to share with a group of friends! Outstanding service with the one-two punch of Andrew and Kenney. Polpette appetizer hot and delicious. And the Margherita pizza was excellent as always. Never disappointed here.